The latter half of this week may give us the first on-set photo of Ben Affleck as Batman we’ve all been craving. Last night, a four-day shoot began at the Russell Industrial Center in Detroit. The exterior of this locale may be the most Gotham-appropriate building we’ve seen for a live-action adaptation since the Burton days. 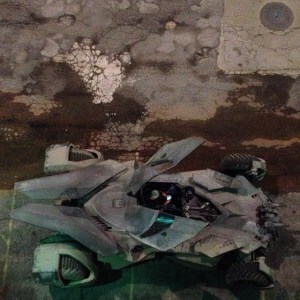 In fact, it looks suspiciously similar to the building in which the first Batman and Batmobile photo was taken. Since sightings of Henry Cahill on-set in the super suit have been plentiful, and such sightings have NOT occurred here, we think this week may focus on a solo Batman outing. 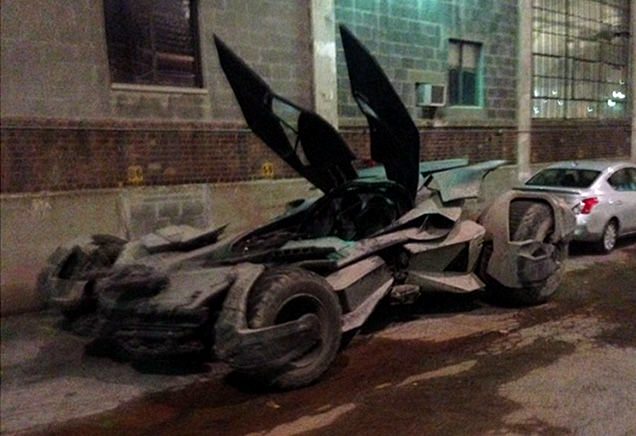 Could it be possible that our first introduction to the new Caped Crusader takes place in a dingy, gigantic warehouse? Nearby citizens have been alerted to loud noises and the use of pyrotechnics. Might we meet the Dark Knight as he viciously deals with a certain Firefly? Director Zack Snyder is known for bringing comic books to life with a unique flair for visual excellence. 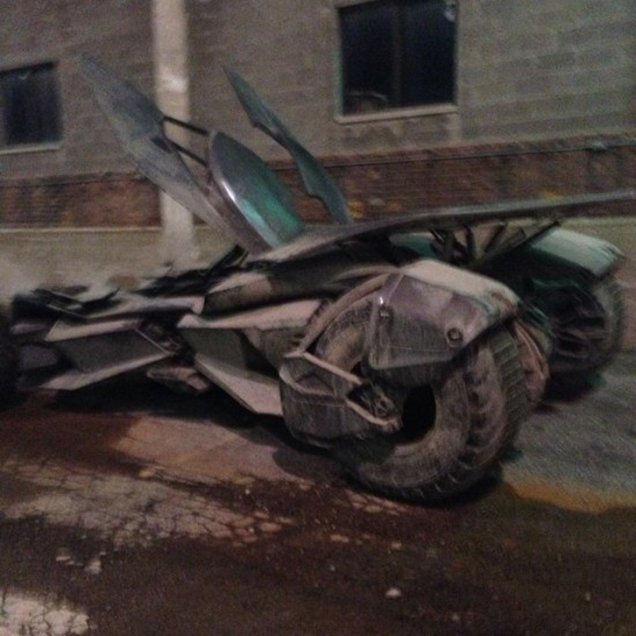 His take on the Batmobile is certainly more fantastical than Christopher Nolan’s Tumbler, and interestingly similar to the version in the upcoming videogame, Batman: Arkham Knight. Both takes on the beloved vehicle seem to favor a mixture of militaristic edge and gothic influence.